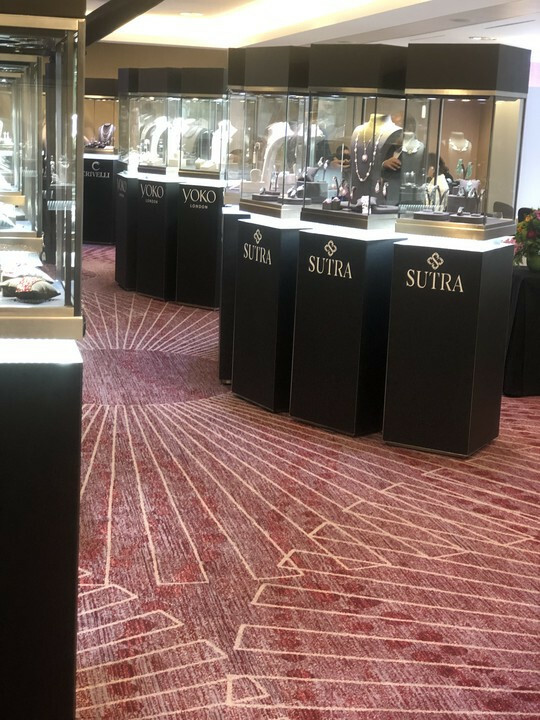 Showcase Hire was approached and asked to deliver 40 of our tower showcases to The Kempinski Hotel Geneva for a new jewellery event: Haute Jewels Geneva. 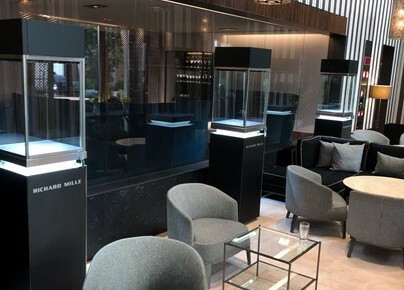 The landscape of the jewellery industry is rapidly changing, so four top jewellery brands have collaborated to create an intimate new jewellery show. 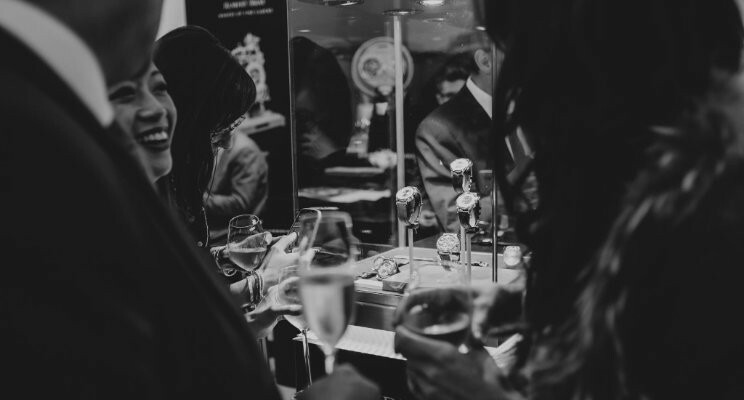 The brands that exhibited at the event was YOKO London, Crivelli, Roberto Coin and Sutra. We worked closely with Michael at Yoko Jewels to design the perfect floor plan for the four brands. We branded all 40 showcases for maximum exposure. Showcase Hire has worked in many different countries, we have a very experienced team who is equip to take on any challenges. Its always exciting when one of your clients asks you to quote for an International event. Showcase Hire has had many experiences working abroad. We have traveled to Monaco, Switzerland, America, Qatar and now Milan. We are much more than just a Showcase Hire and events company, we have years of first-hand, specialist experience handling every last detail before, during and after the event.l Including transportation, set-up, on-site assistance and dismantle. Whether you are an organiser of the event, exhibitor, or stand build designer, you can rely on us to provide a professional and personal service, ensuring you have a trouble-free exhibition experience. "The Adoration Trilogy: Searching For Apollo" By Alistair Morrison. 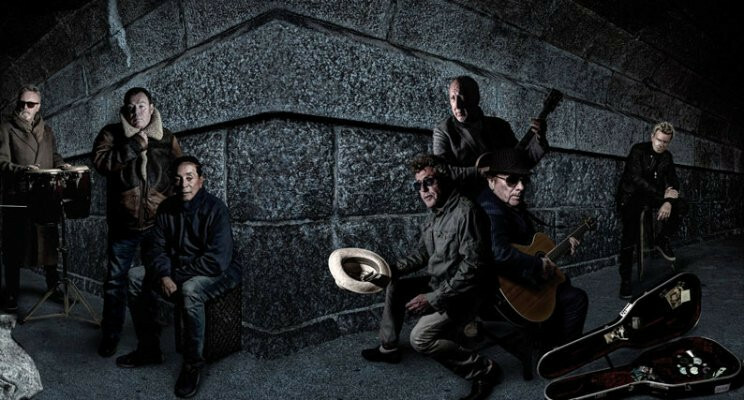 Roger Daltrey, The Who’s veteran frontman, brought together the music legends to unveil a multi-media exhibition. Stars including Sir Ray Davies, Alice Cooper, Sir Tom Jones, Bill Wyman and Donovan were all at the glamorous bash. They were joined by Paul Weller, Peter Frampton, Kenney Jones and Led Zeppelin’s John Paul Jones. Showcase Hire was overwhelmed when Eminent wines asked once again to Showcase Roger Daltery and UB40 Limited Edition Champagne and Red Wine. We was privileged to be invited to such a prestigious and exciting event. Drinking champagne in the same room with so many legends in music was quite something. Visit www.eminentwines.com today and help towards Teen Cancer. The Champagne is absolutely beautiful. Please contact one of my team today to talk about your next event. We offer a wide range of services. Including complete stand builds and prestigious range of showcases. SalonQP, the UK’s premier fine watch exhibition, back at London’s Saatchi Gallery for another year. 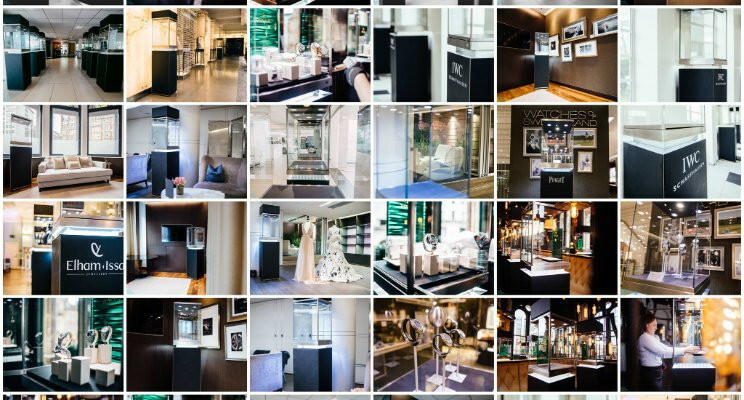 Showcase Hire works with Salon QP very closely to make sure we execute an exceptional show. For many years Showcase Hire has partnered with the show, offering our unique and premium showcases to their clients. SalonQP showcases the top watch brands in a spectacular three day event that has become a definite ‘must do’ on the global luxury calendar. Its an event Showcase Hire has always enjoyed. We don't only showcase some of the most unbelievable watches in the world, we meet incredible people too. With all of our showcases out to Salon QP, Showcase Hire was again a massive hit with all of our clients. For everyone of our loyal and new customers, they received a little thank you gift from our team. This year Showcase Hire has offered a new feature to add towards our services. We offer professional photography. We have captured some amazing moments at the show, so please take a look. https://www.facebook.com/showcase.hire/. Hiring equipment for your events is all round better than buying yourself equipment for repeat use. You may think that you are saving money in the long run, but honestly for the hassle of hiring a van, handling extremely heavy showcases, booking parking , booking a slot for the delivery, having the correct insurances, you have to update PAT testing certificates, all of the Health & Safety documents need to be produced and then unloading the van once at the venue. The costs implicated would be balanced quite easily. Hiring from Showcase Hire will give you support from the moment you call. Imagine, walking into your desired venue and the exhibition stand being completed ready for you to dress. Now imagine, walking into your venue with nothing in place at all, contractors every where and been on a strict time restraint. I know which one I would go for. It doesn't stop there! After working long hours in a mentally challenging sales environment. You have no choice, but to do all of that in the reverse. So why don't you let us do the hard work for you? I'm sure it would be the last thing you wanted to after a long day at work, is to worry about dismantling a exhibition stand. When hiring from Showcase Hire, you have a whole team supporting you. We always have a manager on-site for assistance and support. So if any thing untoward happens, you have a highly skilled friendly workman on-site. We are here to help with any of your event needs, from full stand builds to just hiring our furniture. Please take a look at our website for more information. www.showcasehire.com. You cant put a price on having a stress free show.